"Skyline created an entirely new 600 sq. 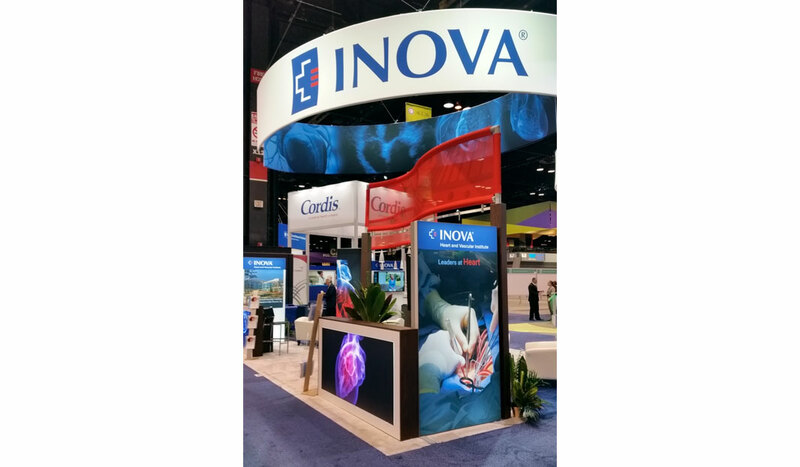 foot trade show booth for the Inova Heart and Vascular Institute which was unveiled at the American College of Cardiology Conference in Chicago on April 2, 2016. 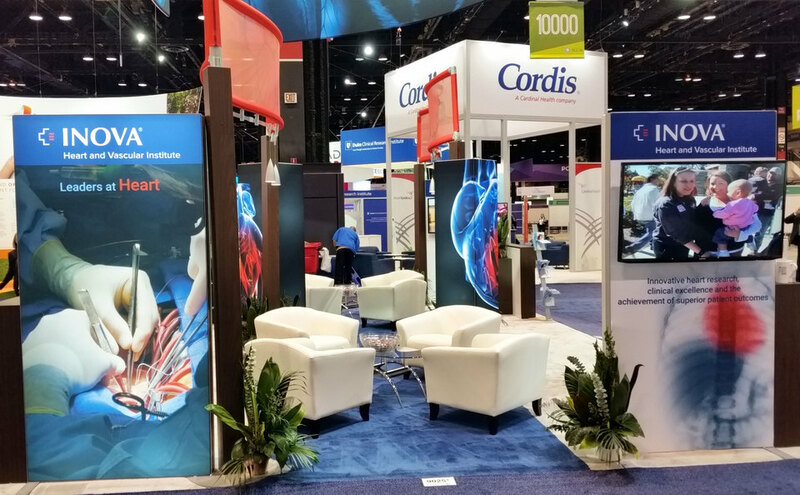 With backlit duratrans of extraordinary graphics, huge mural-sized images of the heart as freestanding displays and an overall feeling of luxury - like a Boardroom - Skyline absolutely hit it out of the park for us. 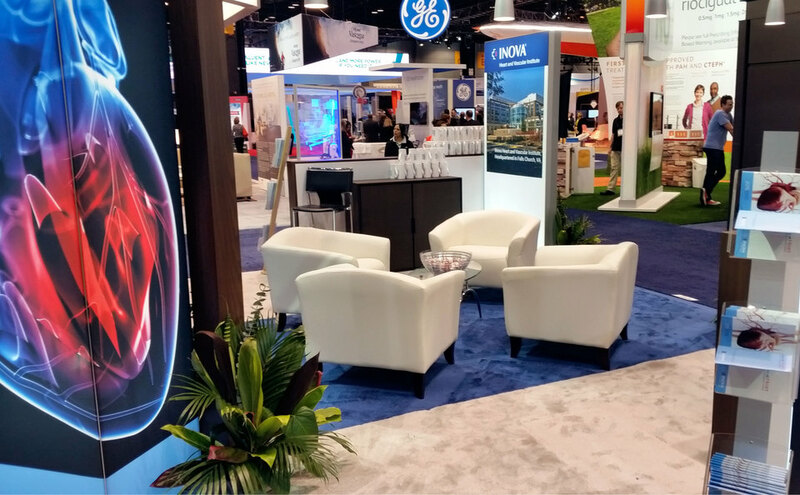 When other hospitals are taking pictures of your booth to show their marketing departments - I think that probably says it all." 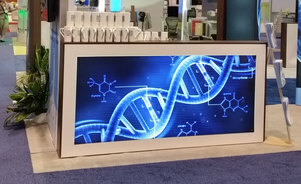 Inova utilized backlit light boxes created from Skyline's SkyRise® system in the corners of their exhibit space to display brilliant images and capture attendee's attention as they walked by their booth. 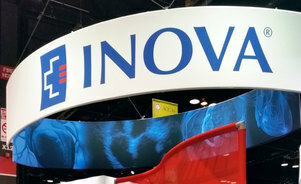 Within their display, Inova featured customer lounge areas surrounded by Skyline's PictureCube® towers. 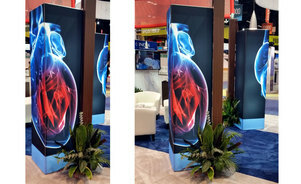 These towers showcased giant backlit images of the heart that commanded attention. 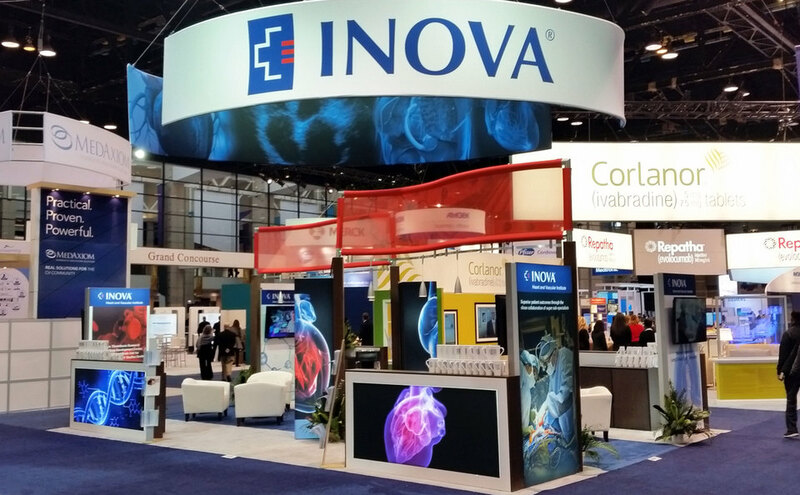 You couldn't miss where Inova was located on the conference floor due to their large overhead tapestry banner prominently featuring their logo on the outside of the curve, along with images of the heart along the inside. 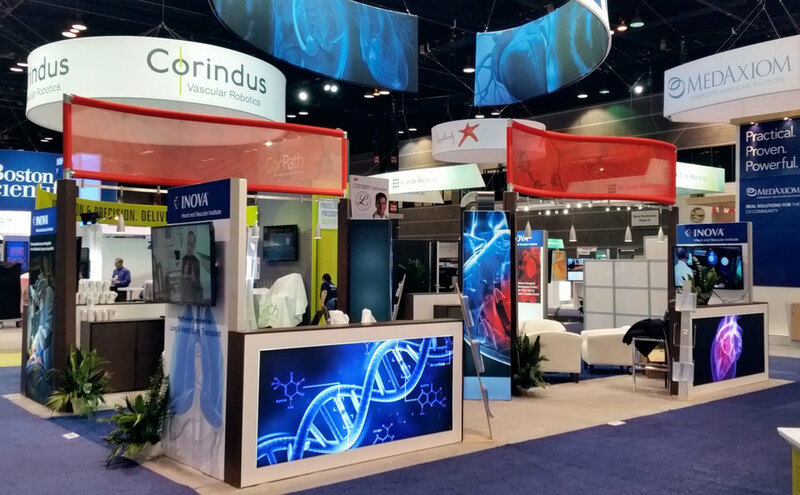 Get in touch with us today to begin the conversation about creating a custom exhibit tailored to your company's show objectives. Skyline Metro DC will be sure to make your trade show or event a success!